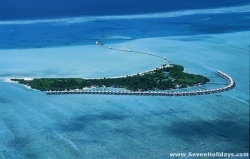 Unusual island with stylish water bungalows and open beach on opposite sides. 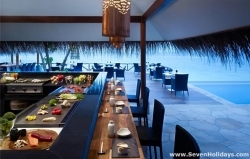 Lively bar, intriguing diving, helpful service and great food add to the convivial atmosphere. 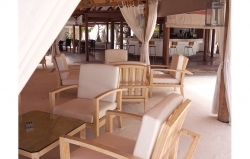 Designed to be the ultimate resort in the Maldives, Cheval Blanc Randheli ticks all the boxes for its ultra rich clientele. Haute cuisine, haute couture and haute service on a man made ideal. 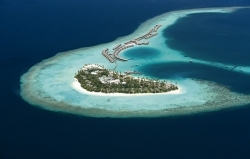 Halaveli's new 5-star incarnation has understated opulence, impressive facilities and fine service - not to mention a wraparound beach, snorkeling access and great diving. Cuisine, hospitality, Kids' Club and Spa lead the way for this still new five star resort in one of the most exciting locations in the country. 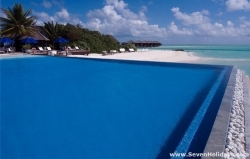 The housereef is closeby, the legendary Hanifaru reef is closeby and the local islands are exceptional. 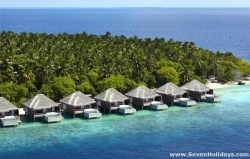 The best mid-range resort, scoring highly for natural soft beaches, lush vegetation, diving, snorkelling and dining. Great for families yet large enough to seem all alone. 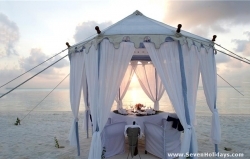 Six star luxury and service is evident everywhere on this once small island just a few minutes speedboat ride from the airport. 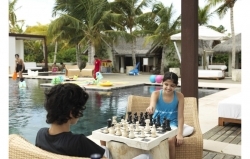 A great kids' club makes this a family friendly resort too. Taj’s experience in hospitality shows in the attentive service at Vivanta. 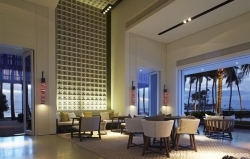 Enjoy the buzzing atmosphere, fine rooms, diving and snorkelling, and delectable dining experiences.